Yep. Scientist have linked modern polar bears with ancient Irish brown bears. Scientists have traced polar bears' roots back to Ireland. A NEW STUDY has traced the ancestry of modern polar bears back to now-extinct Irish brown bears. Carried out by researchers at Trinity College in Dublin, Penn State University in the US, and Oxford College in England, the study was published in the journal Current Biology. DNA samples taken from a range of polar bears across Russia, Canada, Greenland, Norway and Alaska showed that polar bears’ lineage could be linked back to the Irish bears, the AFP reports. The scientists said that the brown and polar bears split from a common ancestor up to 2 million years ago. However, the BBC reports that the researchers say the polar bears met and mated with Irish bears sometime around the last Ice Age. 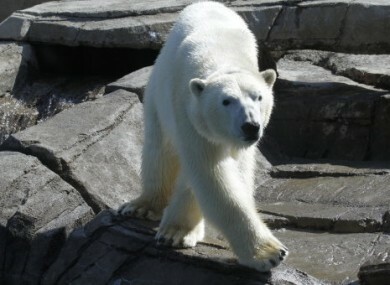 The resulting lineage can be traced in all modern polar bears. The teeth and bones of bears found in eight different cave sites across Ireland were analysed in the study. The Seattle Post Intelligencer suggests that the polar bears’ Irish roots may explain their paleness. In recent years, “pizzlies” – a cross between polar and grizzly bears – have been seen in areas where the two species’ territories overlap. Polar bears are being pushed out of their usual habitats by climate change as they search for food. Email “Polar bear ancestry traced back to... Ireland?”. Feedback on “Polar bear ancestry traced back to... Ireland?”.